414-420, 1914 8c-30c Perf 12, exceptionally fresh and well centered plate no. singles, o.g., barely disturbed gum from hinge removal, F-VF or better, an impressive short set. 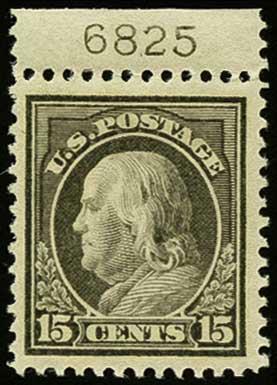 (Scott $517).